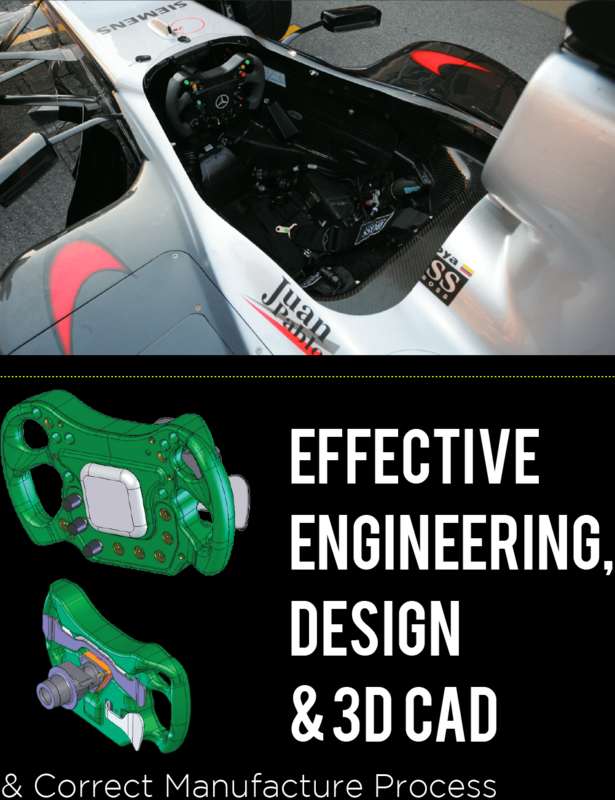 This was a project, to design and build a full-size replica of a very well-known manufacturer’s Formula 1 car for show purposes. It’s very hard to tell the difference between these show cars and the real thing as you can see from the pictures.This involved a variety of design knowledge, from composites through to sheet metal design, and selecting cost-effective manufacture techniques to suit the low volumes. Most of the structure of the show car had to be 3D CAD modeled. Some original team parts were used such as wheels and front wings. But many new parts had to be designed, including chassis, brackets, wishbones, cockpit parts and suspension parts. Next time you’re at a show and you see a ‘real’ F1 car. Take a closer look. It might not be! They convince most people. We used strong 3D design and engineering skills as well as our industry knowledge of manufacture techniques to produce these replica designs. 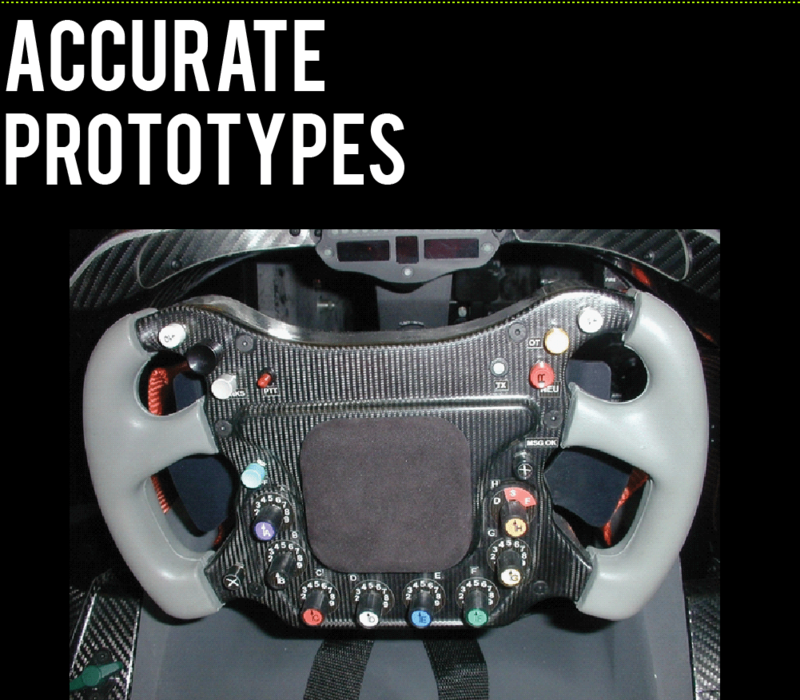 The steering wheel shown is just one part of the design work done. Due to the nature of the industry this is all we can show you in detail. Shown here is the first test prototype before production of the finished product. 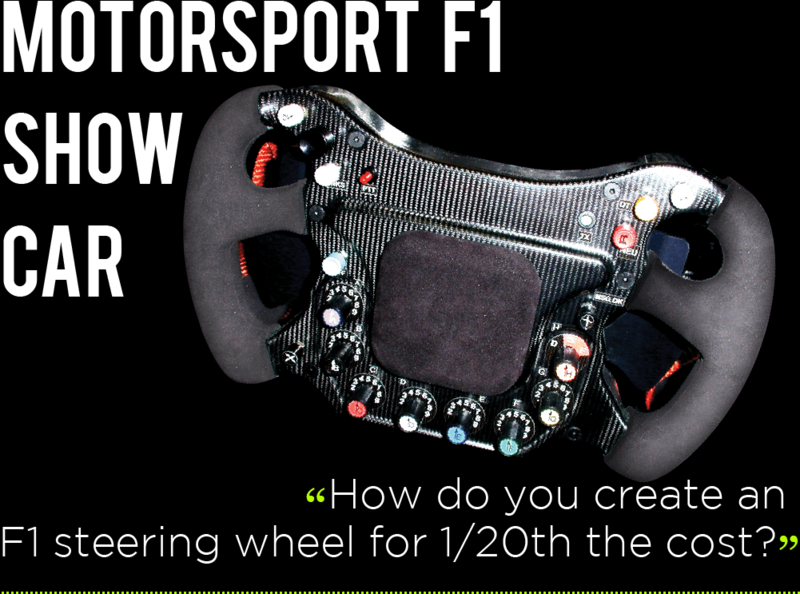 The brief was to design and build it for around one twentieth of the cost of the real Formula 1 steering wheel. 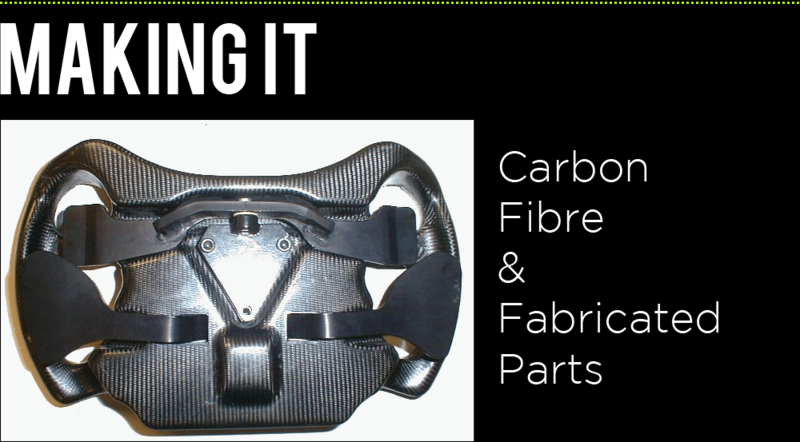 This was achieved using a combination of clever 3D CAD design, use of the client’s manufacturing facilities to build the carbon fiber parts and commercial prototyping techniques such as ‘silicon tooled vacuum casting’. being fabricated in anodised aluminium.